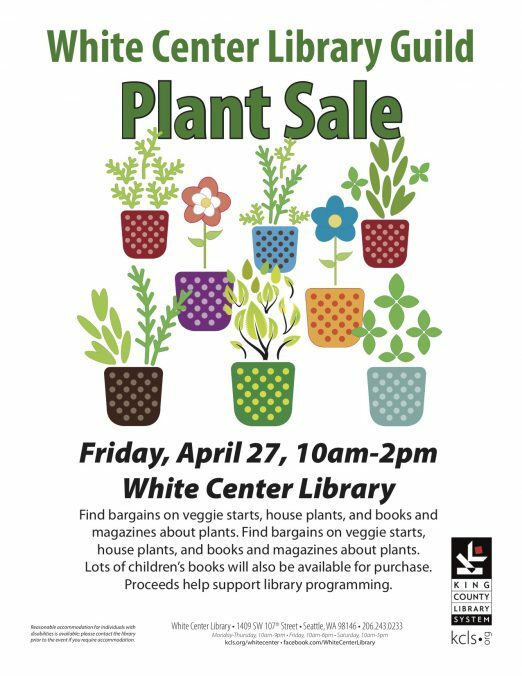 FRIDAY: White Center Library Guild invites you to come buy plants! April 24th, 2018 Tracy Posted in Gardening, Libraries, White Center news Comments Off on FRIDAY: White Center Library Guild invites you to come buy plants! The library is at 1409 SW 107th. Friday afternoon, be at the White Center Library (1409 SW 107th) to support the guild and get your gardening season into gear! 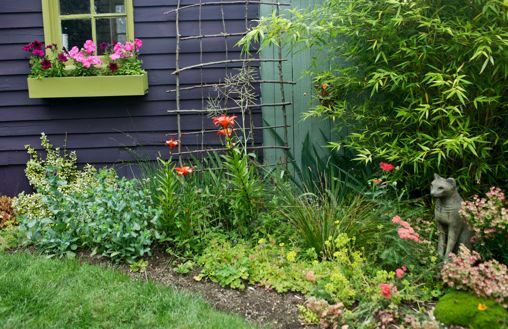 April 26th, 2017 Tracy Posted in Gardening, White Center news Comments Off on Looking for garden space ? White Center Food Bank can help! 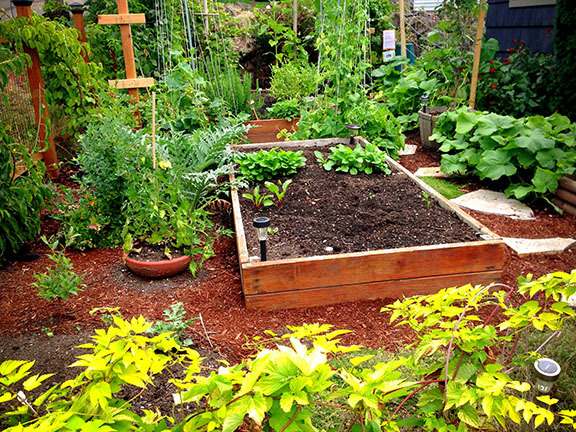 Community garden plots are available at White Center Heights Park, open to White Center residents who need garden space. 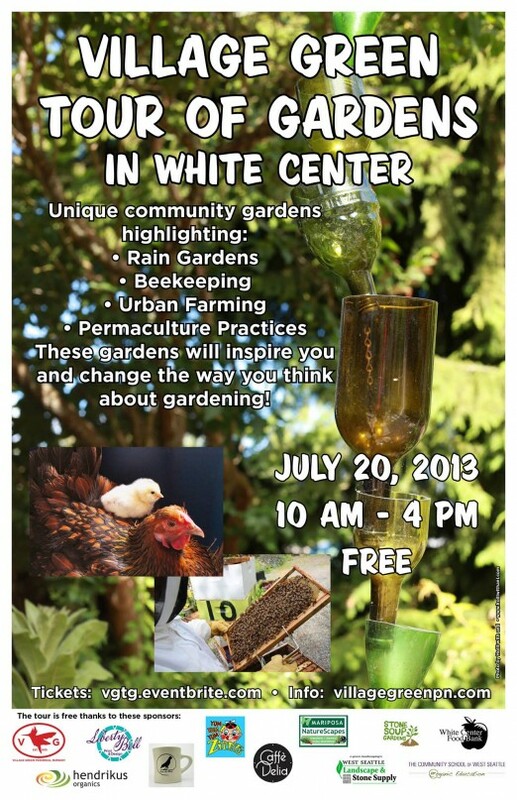 Please contact Mara Bernard – Community Garden Manager at the White Center Food Bank for more information. Last month, we brought you the story of new owners for Village Green Nursery – and today, it’s their official reopening day. We stopped by for a photo of Noah and Sarah in the rain – after all, April showers bring May flowers. They’re open until 6 pm, and again 10 am-6 pm tomorrow, at 10223 26th SW. Announcing the grand re-opening of Village Green Perennial Nursery, White Center’s premier provider of organic herbs, veggies, fruit & plant starts. HI, I’m Noah, the new owner of the Village Green Nursery. My partner, Sarah, and I are in the process of setting up the nursery to its former beauty, and plan on continuing the tradition of providing the community with healthy and beautiful plants. Both of us love to garden, but have never tried anything as ambitious as starting our own nursery before. We have big shoes to fill, but are looking forward to journey. We will be specializing in organic herbs, veggies, fruit, plant starts, and small ornamentals. We’re in love with heirloom tomatoes and think you’ll love them too, which is why we have 12 different types of heirloom tomatoes. Want fresh basil for pesto, edible flowers to add a little zest to your plate, or Italian herbs for your latest culinary creation? We’ve got you covered. In fact, we currently we have over 70 different varieties of edible plants to choose from, and will keep our website up to date with the complete list as we continue to add more. 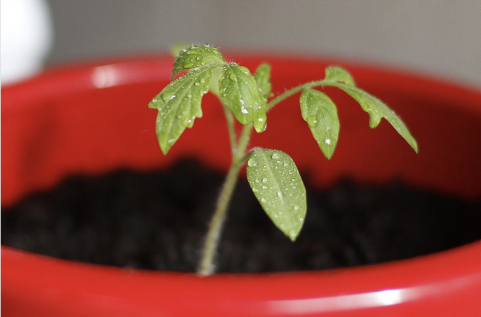 Prefer to start your own plants from seeds? We not only have local organic seeds, but are the only nursery we know of in the area that has Cow Pots. Haven’t heard of Cow Pots? We hadn’t either until we started research for the nursery. These are a biodegradable, natural, and sustainable method for quickly transplanting plants because it’s the biodegradable pot you plant. We’ve tested them in our garden, and are seeing amazing root growth (just as promised). – The first 10 customers will get a free gift. – We want to encourage kids to get outside, dig in the dirt, and eat healthy. So, the first 50 kids 12 and under can pick their very own free organic fruit or veggie start (think rainbow carrots, kids sized cucumbers, or edible flowers). 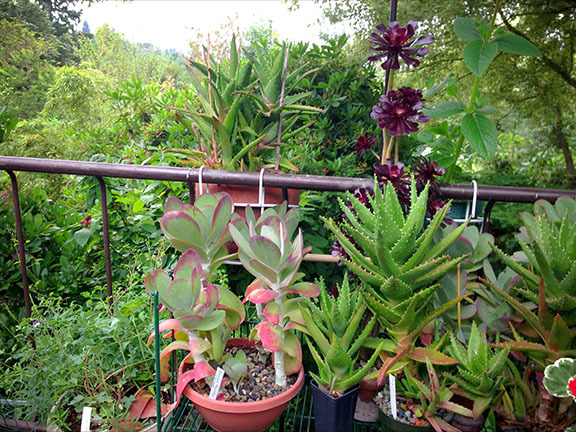 – For the adults, we’re offering 1 free plant with the purchase of 10 plants. *Peggy Johnson creates oil paintings of garden scenes, meant to invoke feeling, awaken memories, and nudge the viewer to see things in a new way. *Dehanna Jones is a native Seattleite who specializes in colorful blown glass floats. *Jessica Wilkinson’s creative spin on ceramic pots is sure to put a smile on your face. 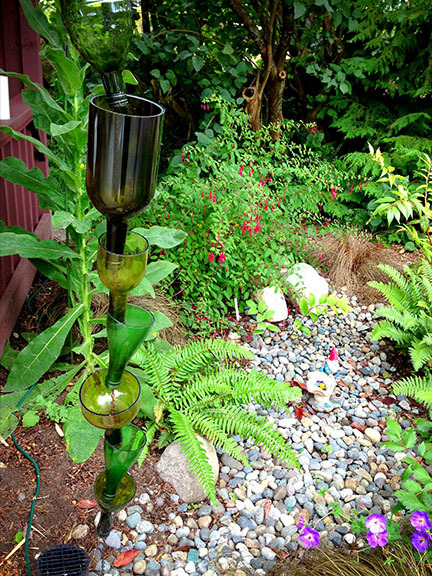 For a sneak peek at the featured artists’ work, take a look at the Garden Art section of our website. Every month we plan to feature new art, and new artists. If you’re a local artist that would like to be featured, contact us at agentsarahy@yahoo.com and share an example of your work. Please visit VillageGreenGarden.com for more info, or better yet, come see us in person April 22nd or 23rd! 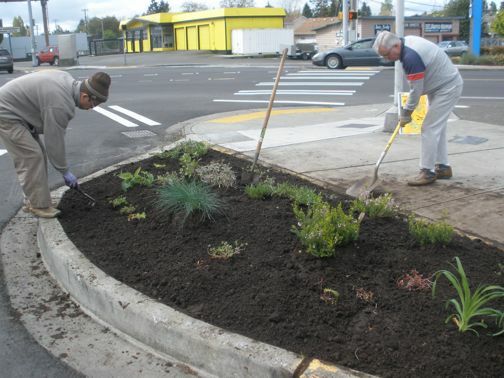 Village Green is at 10223 26th SW.
We are pleased to be hosting Grace Stiller, President of the non-profit group “Weed Warriors.” Weed Warriors work with cities and communities to reduce the negative impact of invasive, noxious weeds in public places, like parks, trails, and open spaces. 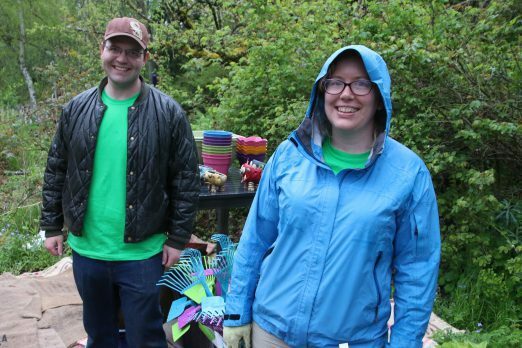 The program offers education about invasive weeds, methods for control or eradication, and provides opportunities where volunteers participate in “hands-on” restoration projects; thus improving the environmental health, and aesthetic and recreational qualities of our public places. We are also pleased to have a presentation from Hannah Kett, Neighborhood Program Manager for Sustainable Seattle. Ms. Kett will be providing information on plans for the introduction of rain gardens and urban gardens at Holy Family School in White Center. She is also interested in ideas for where these types of projects could be located in the greater North Highline community. White Center Storefront Deputy BJ Myers will be on hand to provide updates on crime trends. Seven months after moving to White Center and immediately falling head-over-heels for the neighborhood, I had the opportunity to be one of three co-chairs for the annual Jubilee Days’ Spring Gala. It was truly a labor of love that ultimately gave me and the other volunteers the great gift of meeting vibrant generous community members we might not have encountered otherwise. Vera Johnson was one of these gracious humbling individuals. In the midst of the chaos that typically accompanies community events and fundraisers, Vera Johnson – a stranger to me until then – found out we were in need of some last-minute miscellany. She and her employee threw together centerpieces and decorations and donated auction items to raise funds for the Jubilee Days event. After giving away her own time and materials, she refused a free ticket to the event and insisted on buying tickets for herself and several friends. I’m fairly sure that in the course of the evening we broke one of her vases and may have lost some decorations. She never cared. She thanked us for all our hard work and went on to run the Garden Tour that had been handed over to her at the last moment. I do not know all the behind-the-scenes that produced this garden tour – but I know the overall community impact was positive, as all events at her nursery have been. Today, White Center Jubilee Days Board publicly posted a Cease and Desist letter to Vera Johnson on Facebook. They had already sent this letter to her in the mail, and she had received it Friday. She hadn’t even had an entire business day to respond before her name and business had been dragged through the mud by an organization she had assisted in the past. Again, I was not privy to all the behind-the- scenes action on this either – I just know that the overall impact on the community has been nothing but toxic. As noted in the thread that ensued, there are endless ways to discuss where and how and why this was the poor choice. The WC Garden Tour was started by Peggy Weiss 20 years ago (she and I are in direct contact). 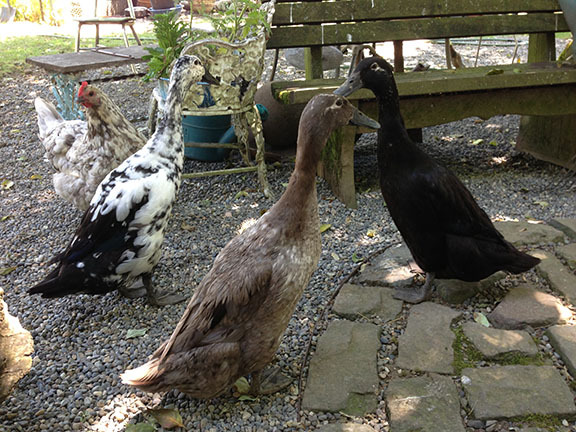 Peggy fully supports me taking over the garden tour, as an educational tool/experience and fun community event. However, to avoid any community conflict, I’d prefer to be respectful to the people who the tour is intended for, which are the gardeners and tourgoers; I will change the name of my garden tour to the ‘Village Green Tour of Gardens’… in White Center’ and move forward towards a happy and joyous gardening season and look about the gardens we have already lined up, visiting the gardens, and connecting with the tourgoers. 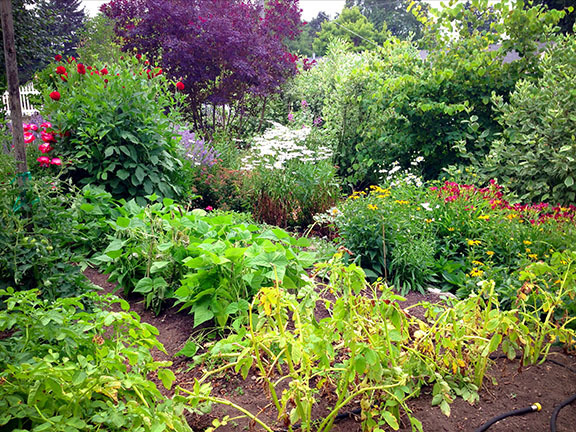 The ‘Village Green Tour of Gardens’… in White Center’ will still take place on July 20th; all information will remain the same. According to the Jubilee Days website, the festival is having its own garden tour on July 14th. 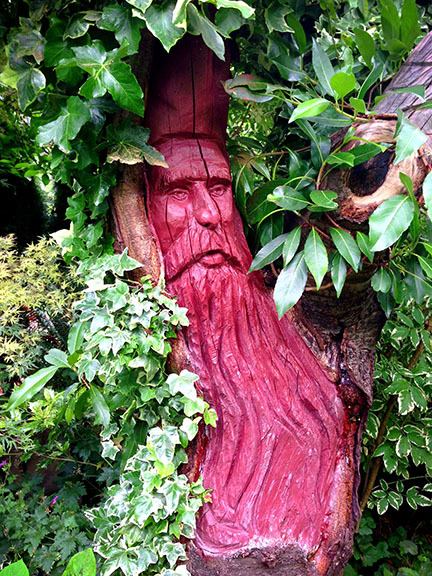 Been looking for garden space? The White Center Food Bank﻿’s new garden manager Mara is “wanting to get the word out about the availability of garden beds for community use. These beds are FREE, with only a commitment to care for the space as it’s provided. Tool checkout available. Anyone interested, or with questions, can contact Mara at gardens@whitecenterfoodbank.org to find out more. 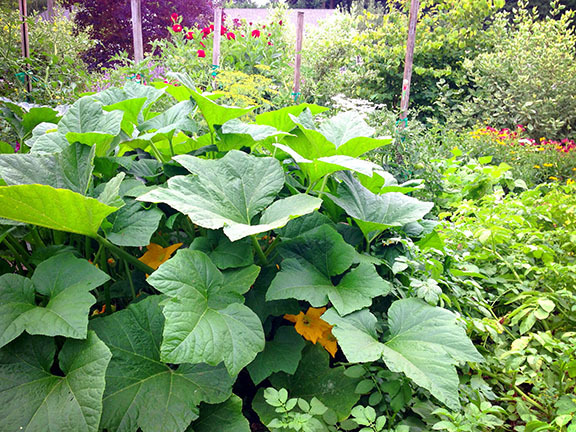 February 16th, 2013 Tracy Posted in Gardening, White Center news Comments Off on Early alert: White Center Garden Tour on July 20th! July 20th, 2013, 10 am. FREE!!! 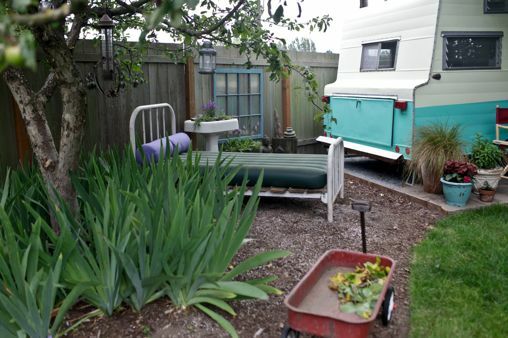 White Center Garden Tour has been a much-anticipated tour for 18 years now, drawing tourgoers from the Olympic peninsula all the way to Portland. Come and learn about how this works! Maps will be made as a download file from the Facebook page as well as online at villagegreenpn.com – more info to follow soon. This is entirely a community supported event. We get all of our money to host this event by sponsorship from many local businesses. This is the 19th year, born out of an idea from Peggy Weiss, who handled this event on her own for many years. It’s back as an independent event, full of educational gardens and community building. We hope you enjoy this event. Here’s the Facebook page for the WCGT. Ooh-la-la! Ciscoe Morris, renowned gardening expert, will be coming to the Village Green Perennial Nursery again this spring. 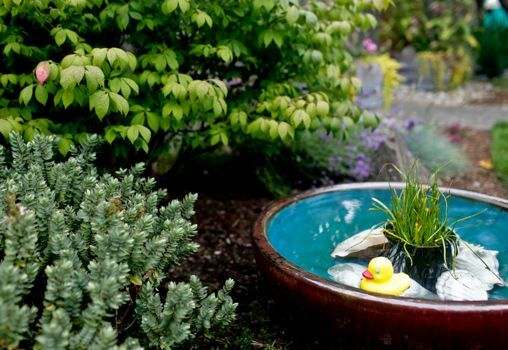 That very same day, members of the National Wildlife Federation will be here to explain how to certify your backyard as an official wildlife habitat. Ciscoe is the author of a bestselling gardening book, and he hosts the “Gardening with Ciscoe” radio show on 97.3 FM Kiro radio and a weekly TV show on KING 5. 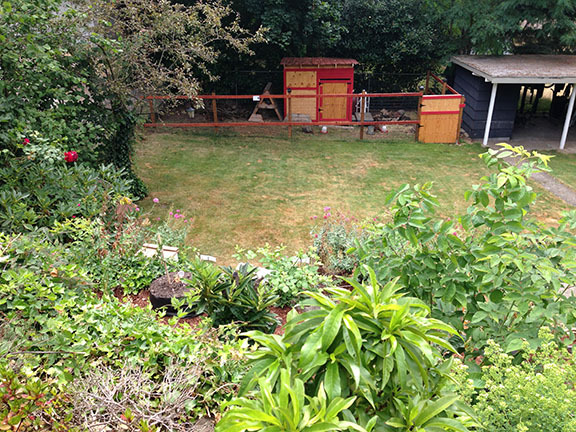 He leads garden tours around the world, and he still somehow finds time to tend his own garden here in Seattle. Ciscoe is full of personality and wisdom, and he is sure to make you laugh. This is not an event you’ll want to miss! The visit is set for 1 pm May 19th; Village Green is at 10223 26th SW. This year’s White Center Garden Tour is a wrap! Coordinator Vera Johnson of Village Green Perennial Nursery (one of the tour stops) says today’s tour participants voted on their favorites, which won prizes as a result, and the one garden photographed for WCN came in first – #7, Russell Hodgkinson and Shelley Poncy‘s garden in White Center near 17th and 106th. (The vintage trailer, we’re told, is a recent addition.) 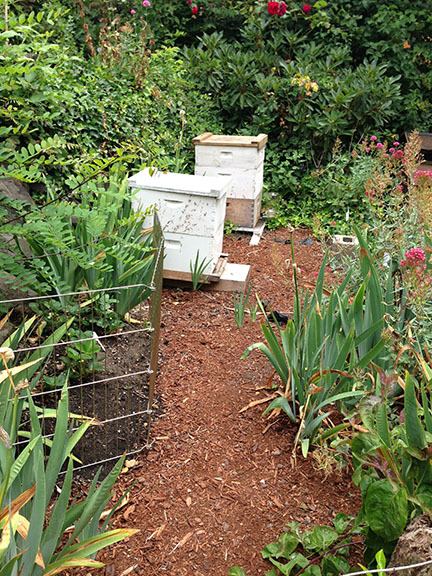 In third place, receiving a $10 gift certificate, was the Barton Street P-Patch; and in second place, with a $15 gift certificate, was garden #6 on the tour map. 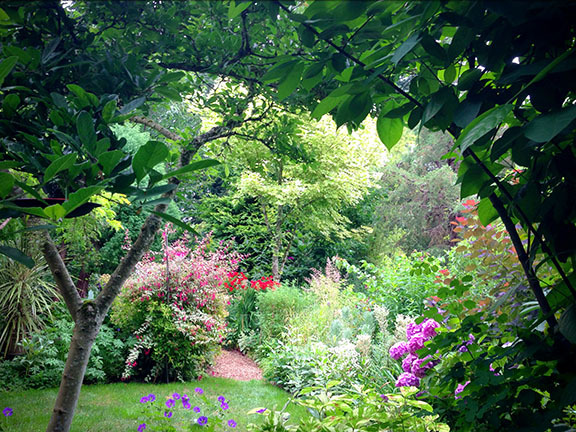 Today: White Center Garden Tour, part of Jubilee Days! 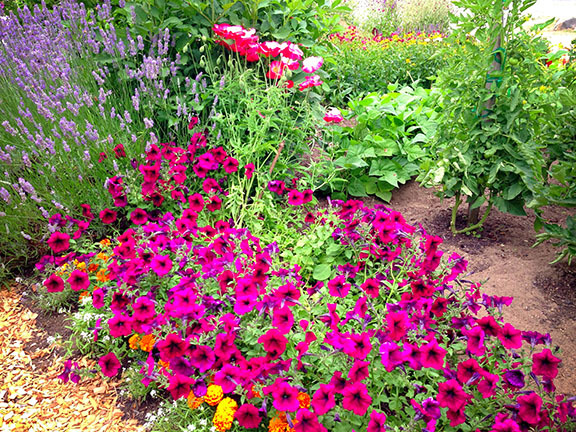 July 15th, 2012 Tracy Posted in Gardening, White Center Jubilee Days, White Center news Comments Off on Today: White Center Garden Tour, part of Jubilee Days! 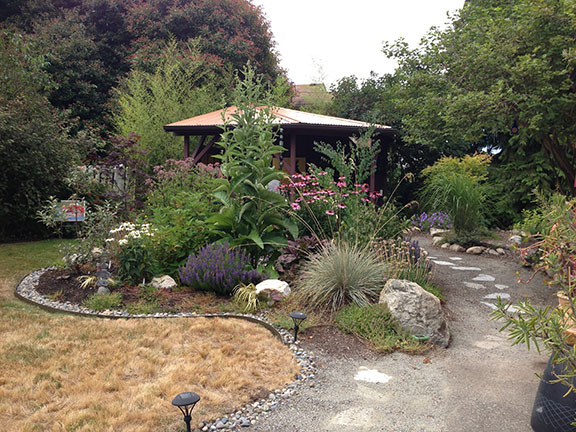 The Village Green Perennial Nursery-organized White Center Garden Tour is today – 10 am-4 pm, free! The map, first linked here July 5th, includes locations in south West Seattle as well as White Center; download it here, and/or get a printed copy at locations including Village Green, Full Tilt Ice Cream, and Proletariat Pizza. White Center Garden Tour: The map is out! July 5th, 2012 Tracy Posted in Gardening, White Center Jubilee Days, White Center news Comments Off on White Center Garden Tour: The map is out! 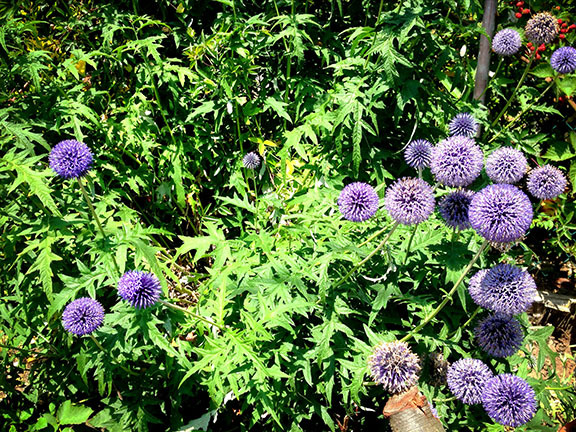 Village Green Perennial Nursery, sponsor of this year’s White Center Garden Tour, sends word that the map is available! The tour is part of White Center Jubilee Days; it’s free, self-guided, and coming up on July 15th – 10 am to 4 pm – just one week from this Sunday. The map includes locations in south West Seattle as well as White Center; download it here, and/or pick up a copy at locations including Village Green, Full Tilt Ice Cream, and Proletariat Pizza. P.S. 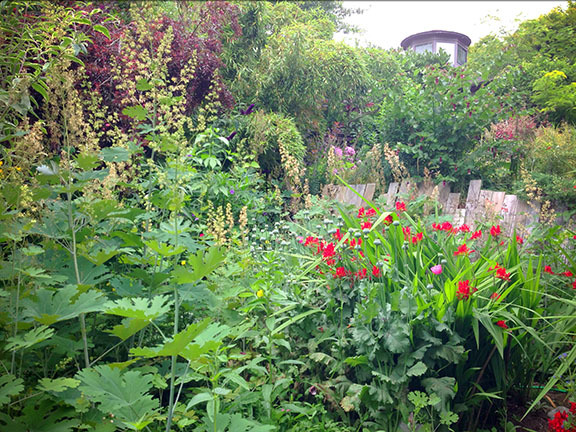 The Garden Tour has a Facebook page; see it here. 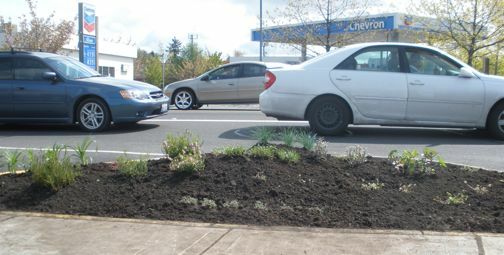 Concerned with the two large neglected planter beds on 16th and 100th, the North Highline Unincorporated Area Council obtained a permit from King County to dig up the beds and put in new plants. 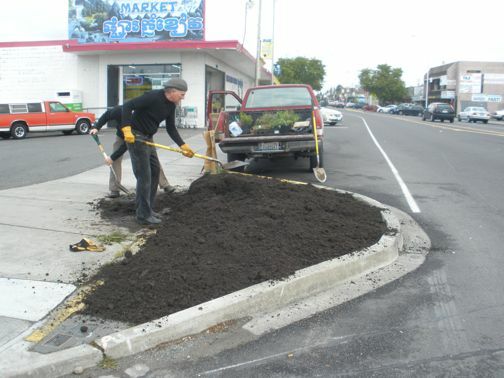 With good weather this morning, council members Steve Porter, and Barbara Dobkin, as well as community members, Eric, Gill, and Alex, the bed on the west side of 16th was dug up and new soil added as well as drought resistant perennials (picked out specially for us by Vera at Village Green Perennial Nursery). Next up for NHUAC – their next quarterly public-safety forum, this Thursday, May 10, 7 pm at North Highline Fire District HQ (1243 SW 112th). MCLENDON HARDWARE PANCAKE BREAKFAST: The tasty tradition arrives at the store again on Saturday morning. 7:30-10 am, free. WEST SEATTLE MONTESSORI PLANT SALE: 9 am-3 pm, at the campus (11215 15th SW) – with a bake sale, organic soil, student vegetable starts, plants from Village Green Perennial Nursery, and more – read about it on the school’s website. WHITE CENTER JUBILEE DAYS GALA: Saturday’s the night, Youngstown Cultural Arts Center (4408 Delridge Way SW in West Seattle) is the place, 6:30 pm – the ticket link and more details are on the Jubilee Days website. 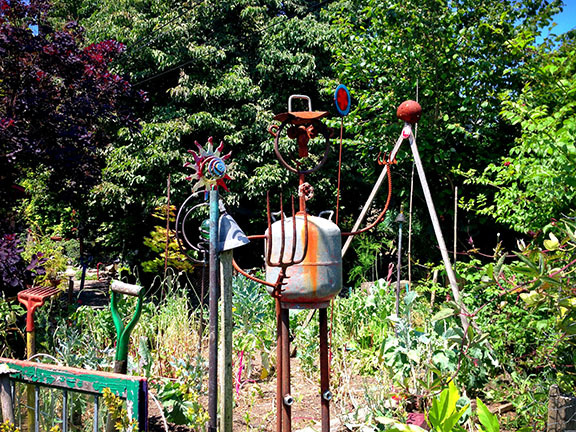 After two community garden design meetings, the Westcrest P-Patch community garden project is planning to start construction next month in Seattle’s Westcrest Park! (Located at 9000 8th Ave. SW) The plan is to create over 200 10′ x 10′ garden plots following the final design which will feature crushed rock and wood chip pathways that interact with existing park features, gathering and storage structures, an out-door “kitchen”, and lots of room for artistic elements and common spaces. 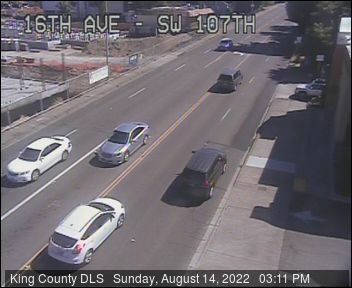 The plots will be open to both Seattle residents as well as residents living in nearby unincorporated King County such as White Center which is two blocks from the south border of the park. If you are interested in a plot, your probability of getting a spot will correlate to the number of hours you donate to the project. The more you volunteer the higher your chances of getting a plot. The Steering Committee is currently trying to determine what portions of the construction will be performed by contractors and what we, as a community, are willing to take on. If we can keep costs below the $90,000 budget, we can use the surplus funds to enhance the project. 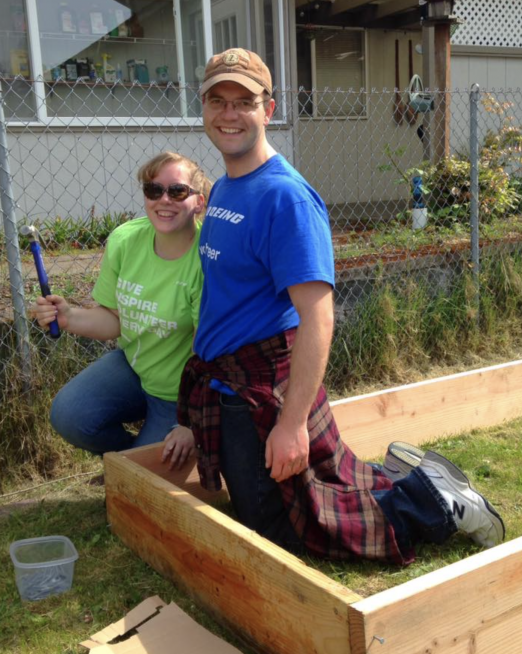 There are innumerable ways that you can volunteer in both outreach and construction. Please contact Phi Huynh if you would like to explore volunteer opportunities.